wig is a Python tool that identifies a websites CMS by searching for fingerprints of static files and extracting version numbers from known files. OS identification is done by using the value of the ‘server’ and ‘X-Powered-By’ in the response header. These values are compared to a database of which package versions are include with different operating systems. The version detection is based on md5 checksums of statics files, regex and string matching. OS detection is based on headers and packages listed in the ‘server’ header. There’s a quite large database of package versions included in common linux distros. The author uses scripts to automatically update the md5 checksums for new versions of open source CMS the the tool is capable to detecting. This one of the main advantages over BlindElephant and WhatWeb. Only send one request: wig only sends a request for ‘/’. All fingerprints matching this url are tested. It hasn’t been too long since the last serious Internet Explorer 0-day, back in November it was used in drive-by attacks – Another IE 0-Day Hole Found & Used By In-Memory Drive By Attacks. And earlier last year there was an emergency patch issued – Microsoft Rushes Out ‘Fix It’ For Internet Explorer 0-day Exploit. This time though it seems two different groups have figured this one out and have developed attack code independently, that ended up pretty similar (which is not surprising considering it’s attacking the same exploit). Two different hacker groups are exploiting the same still-unpatched vulnerability in Internet Explorer (IE) with almost-identical attack code, a security researcher said Tuesday. The attacks, the first campaign unearthed last week by FireEye and a second campaign found by Websense, exploit a flaw in IE9 and IE10, two editions of Microsoft’s browser. Attacks have been spotted targeting only IE10, however. According to FireEye, the attacks it found targeted current and former U.S. military personnel who visited the Veterans of Foreign Wars (VFW) website. Meanwhile, Websense reported that the exploit it discovered had been planted on the website of a French aerospace association, GIFAS (Groupement des Industries Francaises Aeronautiques et Spatiales), whose members include defense and space contractors. GIFAS is best known to the public as the sponsor of the Paris Air Show, where commercial and military aircraft makers strut their newest fixed-wing planes and helicopters. Aviv Raff, chief technology officer at security firm Seculert, contended that the attacks uncovered by FireEye and Websense were the work of two gangs. The attack will work on both IE9 and IE10, but it seems the groups are only targeting IE10 for some reason. Also it seems to be targeting defense/military related targets via related websites. It is possible both groups are using the same attack code though purchased through the black market and customised to their particular purpose. IF people are already using IE11 though (which is heavily pushed in Windows 7/8 updates) they will be safe against this particular attack. Raff confirmed that Seculert believed two different groups of cyber criminals were at work, both leveraging the same IE zero-day vulnerability, in an interview conducted via instant message Tuesday. “We do see similar variations of zero-day exploits, but zero-day [vulnerabilities] that were never publicly disclosed before, that is not that common [for two groups to use simultaneously],” Raff said in that interview. He speculated that the two hacker gangs probably obtained the attack code from the same third-party by purchasing it on the black market. “The elements of the exploits are almost identical,” Raff added, explaining his reasoning. Although Microsoft has acknowledged that both 2011’s IE9 and 2012’s IE10 contain the vulnerability, it has yet to issue an official security, the usual first step towards publishing a patch. Nor has the Redmond, Wash. company’s security team named any temporary defensive measures, which are frequently offered in the “Fixit” format. Instead, Microsoft has encouraged users to upgrade to IE11, which is immune to the attacks. However, Windows Vista owners running IE9 cannot migrate to IE11 as the latter does not support the little-used Vista. Raff also said Seculert’s research had found that the malware used in the GIFAS campaign had changed the hosts files of the infected machines to redirect any remote access software traffic through the hackers’ servers so that they could steal log-on credentials. “The domains that were added to the hosts file by the malware provide remote access to the employees, partners, and third-party vendors of a specific multinational aircraft and rocket engine manufacturer,” said Raff on the blog. This case appears to be quite a focused attack though and the zero day isn’t being used to do drive by malware installation, or to build a botnet. Although now the exploit code is out there, I don’t see that kind of activity being too far behind. It’ll be interesting to see if Microsoft consider this serious enough to push an out of band patch out before the next patch Tuesday rolls around. 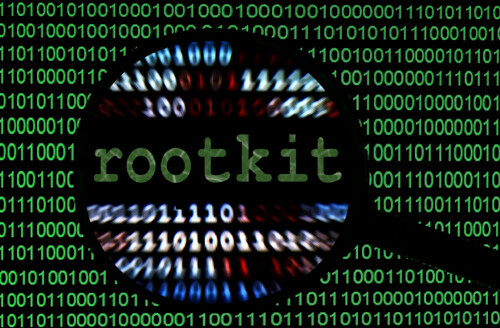 Azazel is a userland rootkit written in C based off of the original LD_PRELOAD technique from Jynx rootkit. It is more robust and has additional features, and focuses heavily around anti-debugging and anti-detection. Features include log cleaning, pcap subversion, and more. Two accept backdoors with full PTY shells. As with anything of this nature, it’s recommended you check the source-code/run it in a safe environment etc. But if I have to emphasise stuff like that, this is probably the wrong site for you. So the latest buzz going around is caused by a hacking group that appears to be Spanish and is called The Mask or Careto. The reason there is a fair amount of buzz is their next level espionage malware that has been targeting government institutions, diplomatic offices and embassies, energy, oil and gas companies, research organizations and activists. And the crazy part? It’s been in operation over SEVEN YEARS, without detection. A recently discovered hacking group called “The Mask” has set a new standard for malware used in sophisticated attacks against government agencies, industry and research organizations, experts say. On Monday, Kaspersky Lab reported discovering the advanced Spanish-speaking group that has been involved in cyberespionage since at least 2007. The Mask, aka Careto, has targeted government institutions, diplomatic offices and embassies, energy, oil and gas companies, research organizations and activists in 31 countries from the Middle East and Europe to Africa and the Americas. The hackers’ mission is to steal sensitive data, but the capabilities of their malware go far beyond pilfering documents. It can also take from networks various encryption keys and authentication keys used in machine-to-machine communications. “Basically, everything secured and confidential easily becomes available and in a plain text,” Dmitry Bestuzhen, head of the research center for Kaspersky Lab in Latin America, said Tuesday. Versions of the malware were found for Windows, Mac OS X and Linux. Other versions are believed to be capable of infecting Android and iOS mobile devices. The Mask has built malware that has set a new standard for other hackers to emulate, security experts say. The implication that’s its likely a Spanish sourced attack is the targets are predominantly Spanish speaking nations and infections in places like Morocco and Gibraltar are on the list. It’s a fairly cross platform attack as well with Windows, Mac, Linux and even possibly mobile versions for iOS and Android. The discovery of The Mask, which experts say is likely working for a nation-state, is expected to spark a cyber-arms race, Bestuzhev said. “They certainly will invest more money in new exploit development, trying to align their cyber-arms to the same level as their potential adversaries,” he said. To infect systems, the group started with emails designed to get the recipient to click on a link to a malicious website. The site contained a number of exploits that were downloaded based on the configuration of the visitor’s computer. Following the infection, the visitor was redirected to the benign website referenced in the email, which could be a YouTube movie or news portal. Because the malware was designed to evade anti-virus software, the best defense would be to catch the malicious app after it is installed. “This malware highlights how critical it is to audit SSH (machine-to-machine authentication) keys, minimize their number, and regularly change them,” Ylonen said. Kevin Coleman, strategic management consultant for SilverRhino, which specializes in IT security for U.S. government agencies, favored technology that monitors software behavior in the network and warns of unusual activity. Organizations should also monitor outbound traffic and make sure it is going to known IP addresses, Coleman said. It also grabs all kinds of goodies like encryption keys making ‘secure’ communications not so secure any more. I’ll be interested to see if any more technical details about it come out, or even possibly if the binaries get posted.